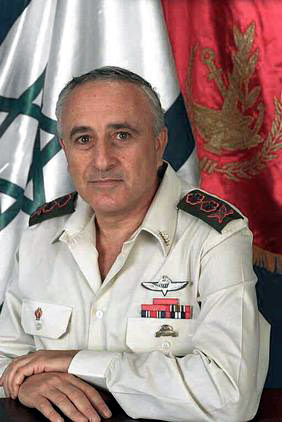 The Medal of Courage was instituted by the Law of Decorations in the Israel Defense Forces of 1970. 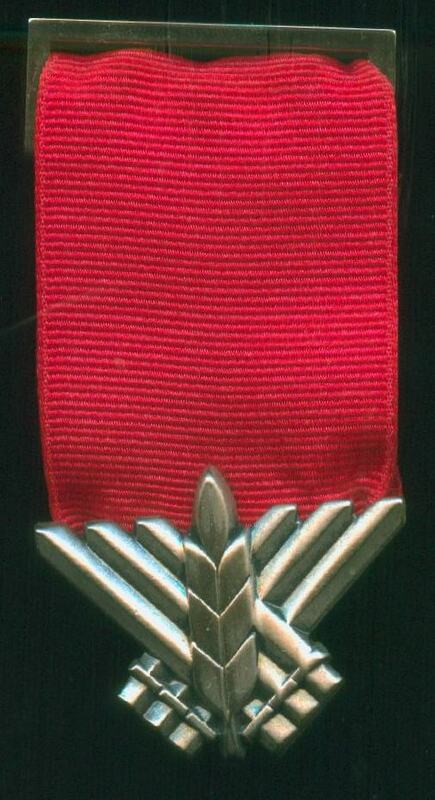 This Law of Decorations relates to acts performed after June 4, 1967, but also to those earlier acts for which the title "Hero of Israel" or the Chief of Staff citation was given. 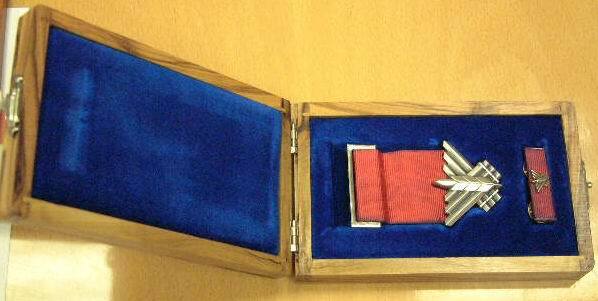 The Medal of Courage is awarded by the Chief of Staff, for an act of gallantry at the risk of life, during fulfillment of combat duty. The medal shows swords entwined by an olive branch forming the silhouette of a candelabra. The designer was Dan Reisinger. 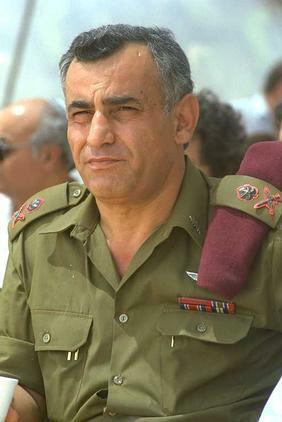 The medal was first minted in 1973 by Kretschmer of Jerusalem and issued by the Israel Government Coins and Medals Corporation. 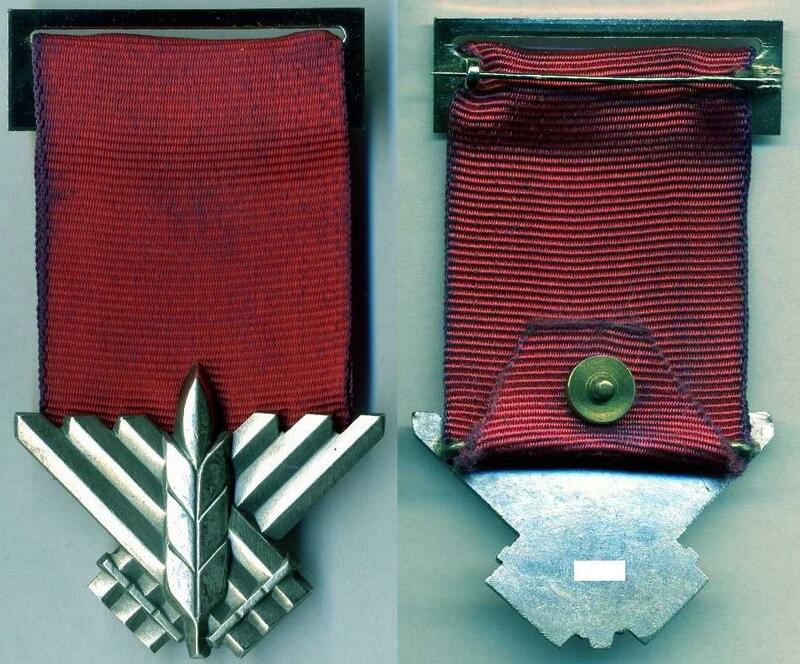 The original medal was made of 25 gr. silver and 43 mm diameter. The ribbon is red, symbolizing fire and blood in battle. 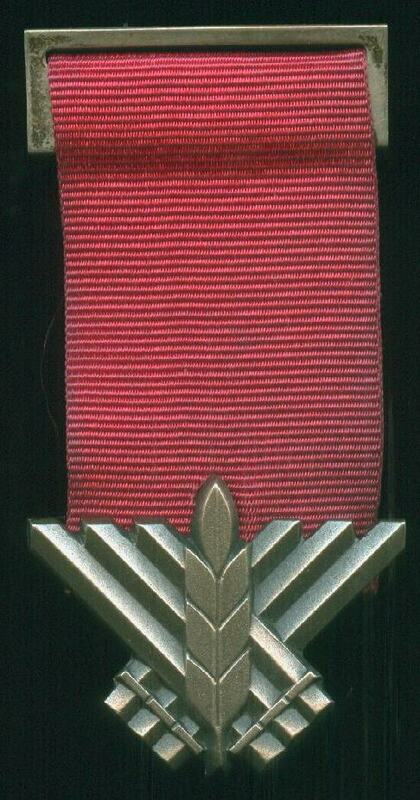 If justified, more than once the same decoration may be awarded, however no additional medal can be presented. 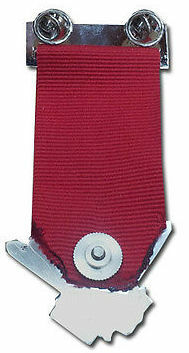 In this case a clasp of a miniature version of the medal should be mounted on the ribbon. 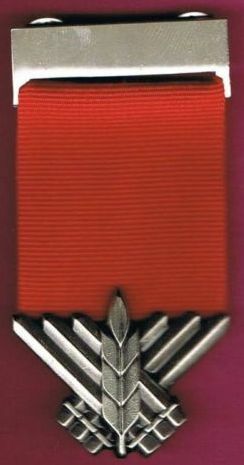 Nevertheless pictures of multiple recipients may be found who wear two identical ribbons, as shown below. Most likely no register was kept of the serial numbers of medals awarded, so recipients can not be identified by the serial number. Medal: silver medal without silver mark but with serial number (here covered). Clasp: Dimensions ~40x13 mm. Pin without safety lock. Clasp: Dimensions 41.5 x 15 mm, chrome covered metal. Pin with safety lock. Clasp: Large clasp. Clutch back. 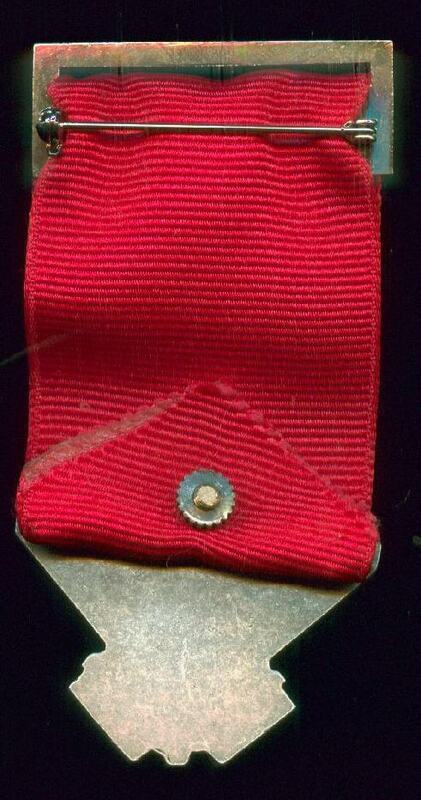 Ribbon connected to medal by large nut. More pictures of recipients can be found here.